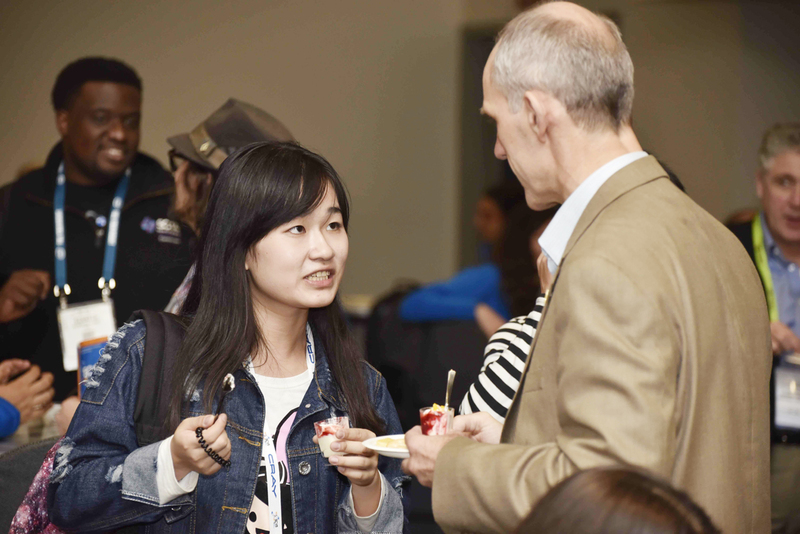 Organized as part of the Students@SC program, the Mentor- Protégé program supports the growth of a vibrant HPC community by connecting the newcomers at the SC conference with experienced conference attendees. The mentors share their experiences from previous SC conferences and their expertise in high performance computing with the student protégés participating as Student Volunteers, undergrads in HPC or Student Cluster Competition participants. For many of the students, SC will be their first conference and can be an overwhelming experience. A mentor can help them make the best use of their time and make personal connections with the HPC community. Conference attendees who have attended SC one or more times in the past are encouraged to sign up to be mentors – there is an option to check when registering for the conference. Mentors should plan their travel arrangements so they can attend a Monday afternoon mixer for mentors and protégés on Nov. 14 from 3:30pm – 5pm. The required commitment for mentors and protégés is a pre-conference email or phone contact, attendance at the Nov. 14 Mentor/ProtégéMixer and another meeting of your choice during SC16. See the links to the handouts for ideas for mentor and protégé interactions. Read the guide for SC16 Mentors . Read the guide for SC16-Protégés. Mentor-Protege matches have been notified and we are not accepting any more participants for the program at this time. Participants who have been notified of acceptance to the program will receive a ticket to the Mentor-Protege Mixer event when they pick up their badge. It will contain the number of an assigned table at which they will be seated once they arrive at the event. If you have signed up for the program, please join the “SC Mentor Protege Program” LinkedIn group (https://www.linkedin.com/groups/7054242 ) so you can see who else will be at the mixer and make connections before the event.